After moving from Barcelona down to Granada in 2006. I was learning about Southern Spain. Initially after the move I was living in the centre of Granada. At that time I was happily settling in to my new Andalusian life and was getting used to my surroundings. Actually I had just experienced my first earthquake. I had no idea that serious earthquakes may occur in Andalusia in the Cordillera Bética when I changed Barcelona for Granada. I was more concerned when near to loose dogs on the streets or heavy duty fireworks at the local festivals! When we think of Earthquakes, images immediately spring to mind of Turkey, Chile or more recently the devastation caused in Japan. In Southern Spain it turns out that earthquakes are frequent and even daily although they tend to be small and the epicenters aren’t deep. The risk generally in the Iberian Peninsula is moderate, only occasionally do the earthquakes reach or surpass 6 on the Richter scale. 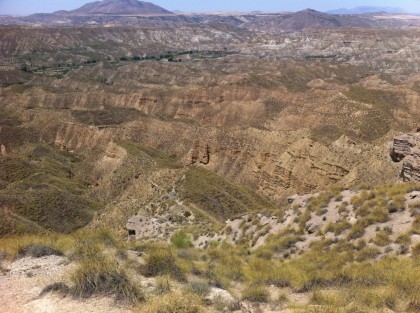 The South West part of Spain is the area closest to where the Eurasian and African plates meet. Every now and again larger earthquakes occur in the area. Last year in the neighbouring region of Murcia, an earthquake with a magnitude of 5.1 killed 8 people and caused severe damage to the town of Lorca, this hit the headlines across Europe. 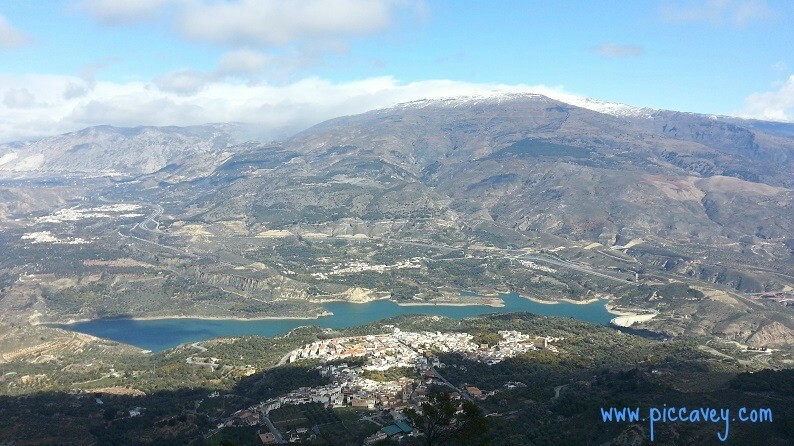 Granada is the province directly south from Murcia and on that day some tremors were even noticed in the northern part of Granada. An example from the end of February 2012, in the Granada village of Cacín, a quake of 3.6 on the Richter scale shook a large area. This caused concern for it´s neighbours, although no harm was done this time. Even though this area is the most Seismic area in Spain and they are used to tremors, it still can be unnerving. 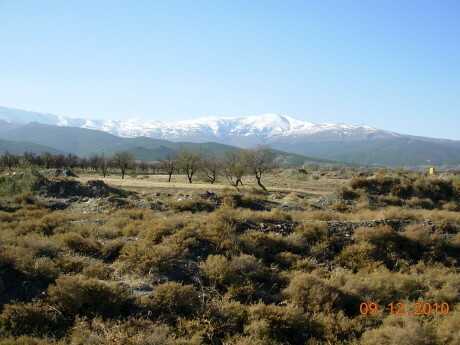 On Christmas Eve of 2011, as many as 11 earthquakes were recorded in Moraleda de Zafayona, an eastern Granada village although it only reached 2.3 on the Richter scale it was noticed. 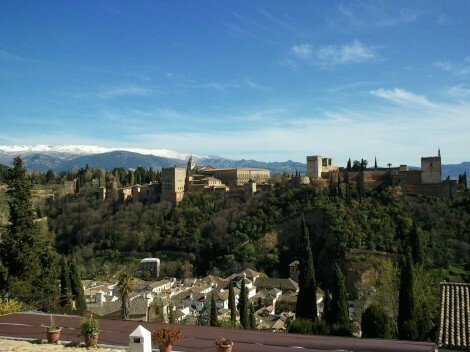 In April 2010 the city of Granada experienced a tremor of 6.2 but due to the depth of 616kms the earthquake didn´t cause damage to the city and more luckily to the Historic Alhambra fortress. If we look back further through the records, on April 19 1956 in the town of Albolote, just outside the city, an earthquake reaching 5.1 on the Richter scale killed 12 people and destroyed 250 homes and over hundred years ago the most deadly quake registered in Spain in the village of Arenas del Rey in 1884 more than 800 people died and 4000 homes were destroyed. This tremor had an estimated magnitude of 6.5 – 7 Richter Of course the quality of building has improved and should an earthquake of over 6 on the Richter scale affect us now the impact should be minimal. Luckily my experience of the earthquakes in Granada so far is anecdotal. I just hope that if we ever get a big quake that my builder was a good one. I was in Granada in 2010 when that one happened and hardly noticed it. I did get frantic calls and emails from my parents though who heard about it on the news back in the US. I hve had a couple of experiences.One in an office block in S.Valencia which was a clear shake and things moved on my desk and one small one in Cehegin,Murcia which was more like a rumble with a vibration! There was big one in Xative about 200 years ago,I believe.Scary stuff! Wow, I didn’t know there were earthquakes in southern Spain! I can’t believe there have been such strong ones. That sounds pretty scary. I grew up in California, so earthquakes hardly even register on my radar anymore. 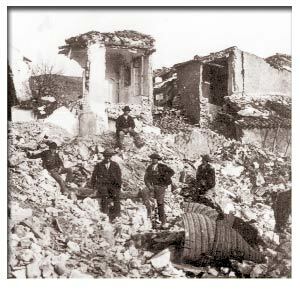 The first time I experienced an earthquake was in Madrid in the sixties. I awoke during the early hours of the morning to the rattle of tiles moving across the floor and noticed the ceiling light was swaying Shaking my sleeping husband awake I asked “What’s happening?” “Un terremoto” he replied. With that we both went back to sleep. There was an unusual silence when we awoke the next morning. We discovered we were the only ones left in our apartment block. Everyone else had spent the night in the Retiro park!